The latest comic book adaptation, The Umbrella Academy is now the biggest digital series in the US. Inspired by Gabriel Ba and Gerard Way’s beloved comic book series, the Umbrella Academy is a powerful story, driven by strong characters. The Umbrella Academy premiered on Netflix on 15th February. The Umbrella Academy starts with the birth of 34 super powered babies, children of women who had shown no sign of being pregnant. A billionaire named Sir Reginald Hargreeves travelled the globe to collect as many babies as he could. He believed they had amazing potential. He adopted seven of them and he brought them up in The Umbrella Academy, where he asked them to use their powers to save the world. Hargreaves was harsh and a bad father figure and as a result of this, the children grow up to be emotionally stunted and troubled. This series is the story of how these seven superheroes react to an impending apocalypse, one that hails from a shocking source. As revealed by Parrot Analytics, the show is now the number one original in the US. The demand for the series grew over the weekend which compares the rest to the current top 10. 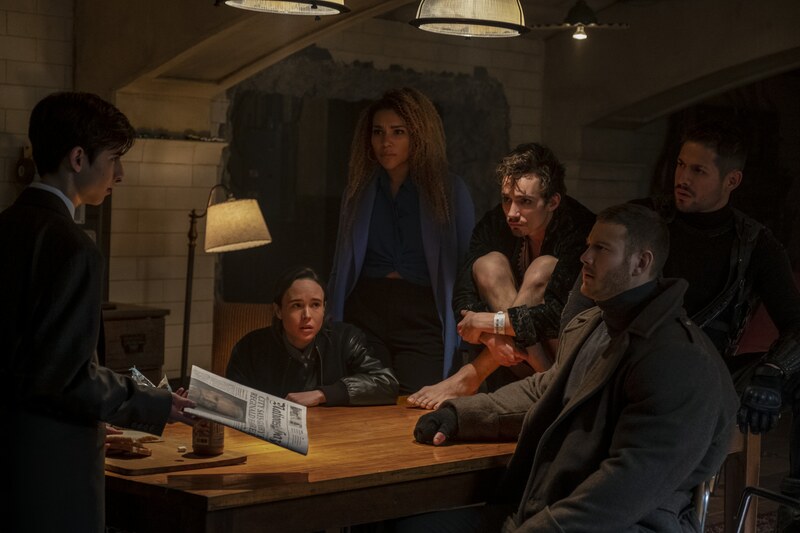 In terms of stats, the present demand for The Umbrella Academy is over 21 times than that of an average film or series, meaning it’s currently in the top 0.03 per cent of all TV shows. Parrot describes this simply outstanding, especially in English markets. It’s said to declare that Netflix has another hit on their hands. Only the most known series like Stranger Things find a place among the Top 10, so it’ll be fascinating to see how this Netflix original series does in the longer term. The second season of the show is yet to be declared. However, with season one’s cliffhanger ending, it’s only a matter of time until the second season is announced.